Water sports are growing particularly in elderly population sectors who've suffered some sort of muscle or bone damage. There are usually discounts accessible to senior citizen and smaller children. Find out by contacting your nearest pool in South Yorkshire. Most in the Salt Water Pools in South Yorkshire offer both open lanes for independent swimming and also guided activities like water aerobics or aquabike. Swimia.com needs your feedback to ensure all the info is valid, due to the fact maybe this pool is no longer open to the public. These are the Swimming Pools other users have reported. Are you a local and your pool is just not listed? Contact us to ADD IT. It's free! 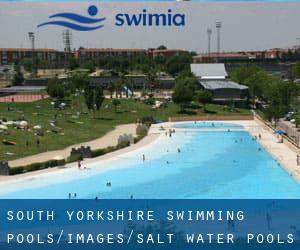 Swimia.com has the most up-to-date database about Salt Water Pools in South Yorkshire. Without a shadow of a doubt, swimming in Bentley will be the best strategy to unwind soon after work. Take a couple of minutes to browse Swimia's catalog to find a Swimming Pool in Bentley. Let us let you know a secret to switch off even though you are in Hoyland Nether: just pick out a Pool in Hoyland Nether and plunge into the water! There's no a lot more beneficial method. It's difficult to visit South Yorkshire with no dropping by Wombwell (with 15.518 residents). Currently Swimia is showing you all the Swimming Pool in Wombwell and the closest pools located in its vicinity.